Enjoy your brand new and top-quality 2003-2005 Nissan Chrome L.E.D. Bumper Lights today! 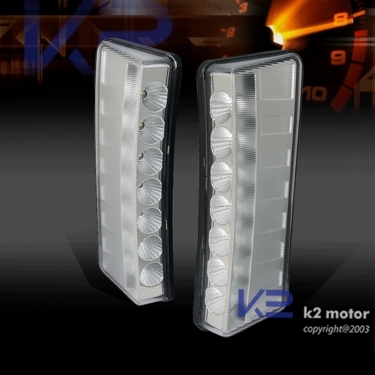 2003-2005 Nissan 350Z LED Bumper Lights. These are a direct replacement bumper lens. Perfect for replacing your old bumper lights and for matching the Euro headlights and projectors we also carry. The lights are easily installed with no fussy wiring needed. Full LED lit lights are bright and adds a custom look to your car.